GM Michael Adams annotates the games he played from rounds seven to ten in the British Chess Championship. His victories over Howell, Eggleston, Gawain Jones and youngster Martin Brown catapulted him to an astonishing 10/11 and the fifth British Championship title of his career. 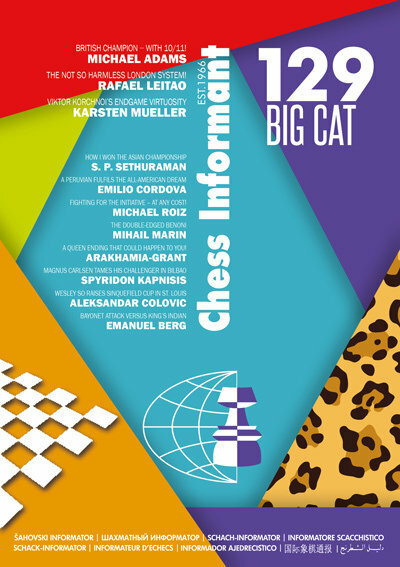 The great successes of Magnus Carlsen, who won Bilbao Grand Prix (and one of two games vs his future world title challenger Sergey Karjakin), and Wesley So, who took the Sinquefield Cup in Saint Louis, are under the microscope of our dedicated authors, GMs Kapnisis and Colovic respectively. Indian GM Sethuraman won the Asian continental championship, while the All-American continental title went to Peruvian GM Emilio Cordova. Both these champions tell their stories from a very personal standpoint and take you on the journeys which led to their career best results. GM Rafael Leitao showcases the London system, hitherto considered harmless but now a trendy opening in today’s top class chess. GM Emanuel Berg mirrors the white and black side of the Bayonet Attack in the King’s Indian Defence. GM Mihail Marin reminds us of the double-edged character of the Benoni Opening, which has lost none of the sharpness it has displayed from its early days with Marshall and Nimzowitsch right up to present-day practice. 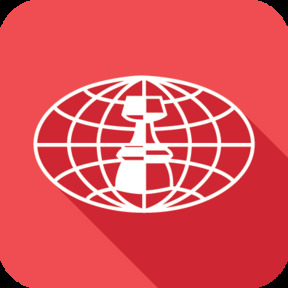 GM Michael Roiz has chosen games that illustrate the dynamic play of modern chess matadors – which means fighting for the initiative at any cost. GM Keti Arakhamia-Grant analyses deeply a very instructive queen ending she has had to handle three times in recent tournament games. GM Karsten Mueller reflects on the career of Viktor Korchnoi and testifies that we can learn a lot from the endgame technique of this great master who recently departed from us.